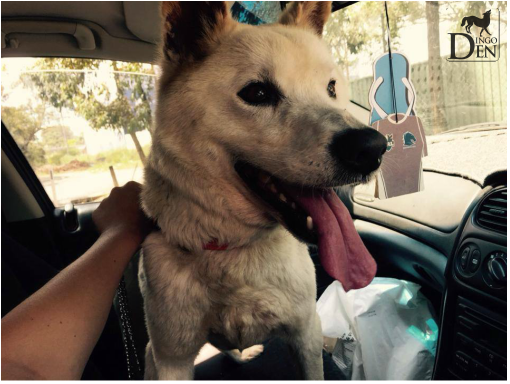 Dingoes across Australia need our help. Due to the fierce hunting, trapping, and baiting of dingoes that has been encouraged by government funded bounties and culling campaigns, the species is now under the threat of extinction. Dingoes are red flagged as a vulnerable species by the International Union for the Conservation of Nature and Natural Resources (ICUN), with experts forecasting their extinction as early as 2020. The demise of the dingo is accelerated by animal shelters rarely accepting displaced dingoes because they are not a domestic dog breed. In fact, some animal shelters euthanise them immediately. And with wild life authorities rarely supporting dingoes due to the fact they have not yet been listed as a protected species, 80% of dingoes die before their first birthday. Dingo Den is changing this sad reality by building a restoration service to help these extraordinary animals. With the support of the community, Dingo Den saves displaced dingoes from life-threatening situations and rehomes them into the loving care of dingo-friendly homes. Part of this process includes protection and care at the Dingo Den Sanctuary – a peaceful refuge where sick, traumatised and injured dingoes can receive specialised care and attention. Once they are happy and healthy, they are ready to start new lives in their forever homes. Please help us save these beautiful Aussie icons before it’s too late by becoming a carer, volunteering at our sanctuary or by donating to the Dingo Den Sanctuary fundraising appeal. No matter how big or small, your contribution will help save lives! 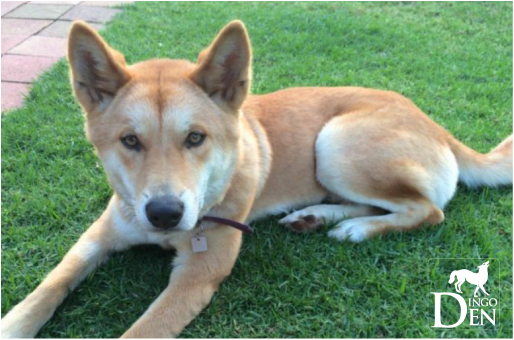 Dingo Den is raising funds to build and support the Dingo Den Sanctuary - a peaceful refuge where sick, traumatised and injured dingoes can receive specialised care, protection and rehabilitation. Your generosity will help rescue dingoes born in captivity from being euthanised at animal shelters throughout Australia. Theses dingoes will find refuge and rehabilitation in the sanctuary before enjoying the rest of their lives in the loving care of Dingo Den accredited homes, or join the Dingo Den pack for life. Your thoughtful donation will also help to provide important care for wild-born dingoes that have come into human possession via injury or trauma. These special little dingoes will be provided with the best course of action for their situation, with the ultimate end goal being to have them re-released into the wild once they are healthy and raring to go. If this is not possible these dingoes will be lovingly rehomed to enjoy the rest of their lives in the care of Dingo Den accredited homes, or join the Dingo Den pack for life. Together we can save these beautiful Aussie icons before its too late, and with them, all of our threatened species who depend of the dingo for a sustainable future. Join our army heroes! Click here to save a life! 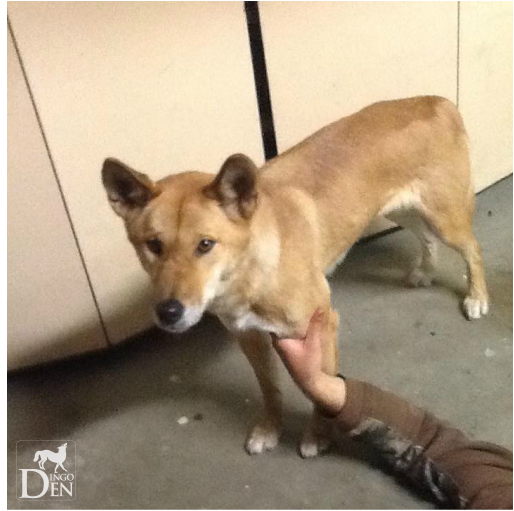 We are here to help you help the dingoes in your care. If you require special assistance regarding the care of a dingo, please complete the form to your right, and one of our friendly volunteers will be in contact with you. 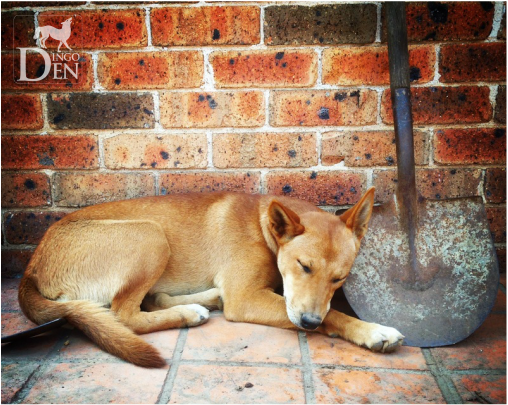 Have you ever thought of becoming a dingo carer but not sure where to start? 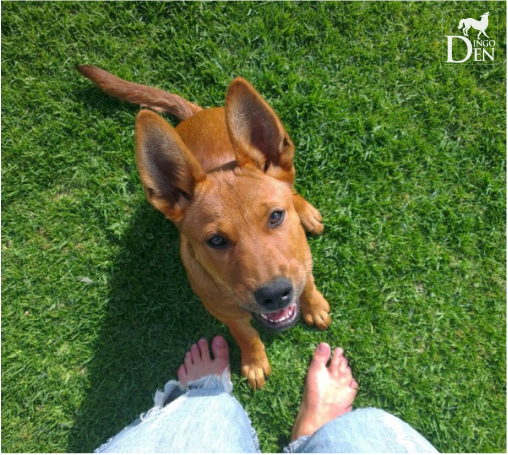 Dingo Den is offering free mentorship programmes that can help you to become an effective foster-carer or lifetime-carer for these special animals. Saving the wild-hearted is our passion and if its yours too then we would love to have you join us at Dingo Den! We recognise that everyone has special talents and abilities that can help a big cause like saving dingoes and with them our native biodiversity. We have many volunteer opportunities at Dingo Den that include things like gardening, cleaning, administration, fundraising, education programs, dingo advocacy and dingo care. There is a role for everyone at Dingo Den, many of which can be done from the comfort of your own home. If you would like to get involved please lodge a volunteer application below. Dingo Den believes that the life of every dingo, including hybrids, is unique and precious. We also believe that the bonds developed between dingoes and their carers are special and greatly beneficial to dingoes and carers alike. These beliefs inspire Dingo Den to do all that we can to remedy dingo homelessness and prevent dingo abuse, neglect and euthanasia. One of our primary missions is to empower dingo owners to become the best carers they can possibly be for their beloved companions. To achieve this we provide one-on-one mentorship to resolve challenges that exist and ensure long term success for all involved. 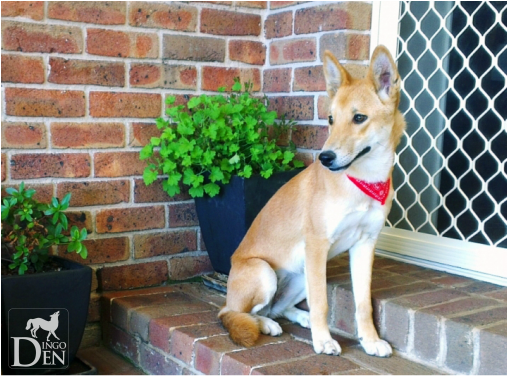 Some dingoes receive a new start at life in the very homes that they are already living in. This is the ultimate success story, and our main goal. In situations where a new location is seen as the best solution, Dingo Den works alongside new carers to ensure a lifelong home is established for the animal and the best possible care is provided. These long-term preventative efforts end the cycle of homelessness that some dingoes experience several times throughout their lives, protecting them from the possibilities of abandonment, neglect, abuse or euthanasia. Home truly is where the heart is, and that's why Dingo Den is dedicated to ensuring that carers genuinely get to know the wild and beautiful hearts of their dingoes. Saving the wild-hearted is our passion. Helping others understand and appreciate dingo nature is the key that enables dingoes and their carers to live the happiest, healthiest and most rewarding lives imaginable. Its been our honour to assist the lives of these beautiful wild-hearted ones. But surely for that one animal, its world is forever changed." 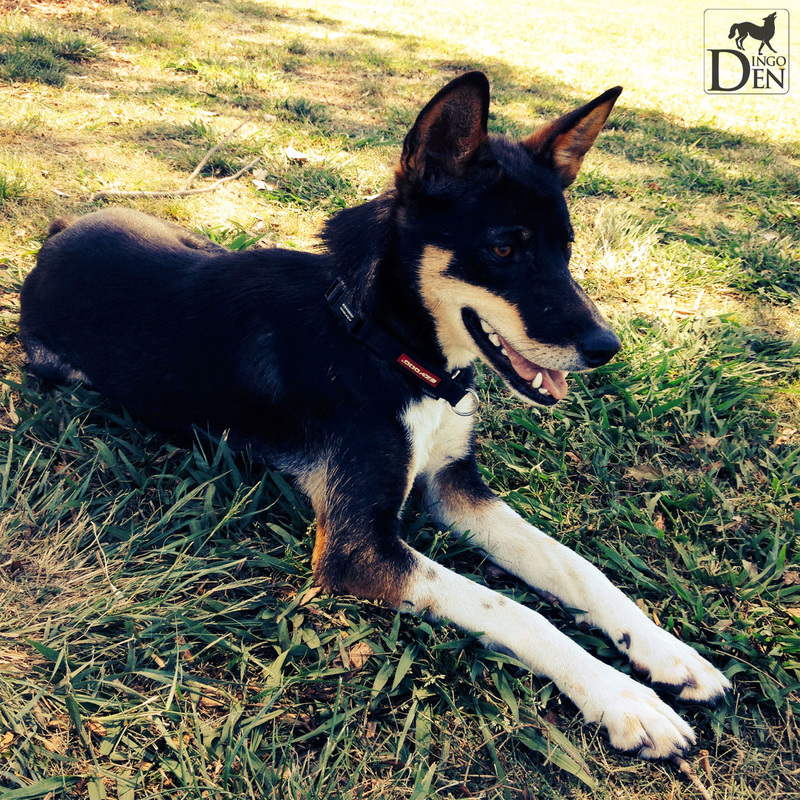 "The determination and drive for your passion of dingoes is inspiring! :) "
"Good luck with the dingoes!" "What you're doing is so important! Keep up the great work Dingo Den!" 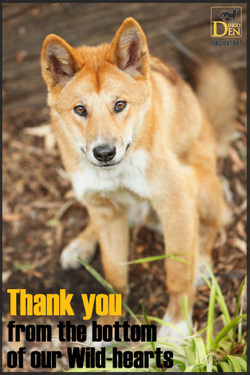 "Hope you raise plenty of funds to help protect the dingoes. Thank you for doing what you can for them!" "Thank you for caring!!! Doing nothing is not an option. Good people do good things and fight for what is right! XOXO"
"I love dingoes. Thank you for helping them!" "The most beautiful and misunderstood animals. They deserve all this amazing hard work and more!" "I cannot wait to pledge again! I'd also love to provide any tangible items your need :) hugs and licks from my little "dingo", London!" "I'm so glad that you are saving these sweet wild dogs!" "You guys are doing great work!"